The European Union is committed to supporting Member States in fostering social inclusion and in building cohesive societies. Article 2 of the Treaty on European Union states that ‘The Union is founded on the values of respect for human dignity, freedom, democracy, equality, the rule of law and respect for human rights, including the rights of persons belonging to minorities. These values are common to the Member States in a society in which pluralism, non-discrimination, tolerance, justice, solidarity and equality between women and men prevail’. On 14 December 2017, the European Union’s Heads of State and government2 confirmed the key role of education and culture in building inclusive and cohesive societies, and in sustaining our competitiveness. Furthermore, they stressed the need for an inclusive, lifelong-learning-based and innovation-driven approach to education and training and recalled their willingness - expressed at the Gothenburg summit - to do more in these areas, in which the EU plays an important supplementing and supporting role. The Council Recommendation of 22 May 2018 on promoting common values, inclusive education, and the European dimension of teaching3 aims at promoting common values at all levels of education and fostering inclusive education, in line with the 2015 Paris Declaration4, as well as to supporting teachers and teaching and encouraging a European dimension of teaching. It encourages Member States and the Commission to share good practice and information and to develop policies at both national and EU levels. Promoting equity, social cohesion and active citizenship is one of the strategic objectives of the Strategic Framework for European cooperation in education and training (ET 2020). Relevant and high-quality knowledge, skills and competences developed throughout lifelong learning, focusing on learning outcomes for employability, innovation, active citizenship and well-being are among the priority areas for European cooperation in this context. Common EU values are the bedrock of our democracies and a reflection of who we are. They are especially relevant against the background of challenges such as populism, xenophobia, divisive nationalism, discrimination, the spreading of fake news and misinformation, or the risk of violent radicalisation, which can undermine our democratic foundations and institutions and the trust in the rule of law, and hinder a common sense of belonging within and amongst European societies. Access to education and training for all continues to improve in Europe as a whole. However, ensuring quality mainstream education and training for all remains a challenge for many countries, and a significant educational gap persists. Inequality is increasing and has a negative impact on learning outcomes, since education and training systems tend to reproduce existing patterns of socio-economic status. There is strong evidence56 that educational inequalities and students’ socio-economic background are linked. Students from poorer households are three times more likely to perform worse than their wealthier counterparts, and students of migrant background are more than twice as likely to be low achievers as other students. This call addresses the contribution of education and youth to social inclusion and common values against the background outlined above. The management of this call is delegated by the European Commission to the Education, Audiovisual and Culture Executive Agency, hereinafter referred to as "the Agency". 2. Developing and implementing innovative methods and practices to foster inclusive education and promote common values.  Fostering digital skills and competences of digitally excluded groups (including older people, migrants and young people from disadvantaged backgrounds) though partnerships between schools, business and the non-formal sector, including public libraries. In line with the objective of Erasmus+ Key Action 3 to support policy reform, projects should demonstrate the capacity to generate impact not only on the partner organisations but also at the systemic level, e.g. generating multiplier effects at territorial or sector-specific level, attracting or involving major players or networks – including from the private sector, obtaining support from public authorities, enhancing awareness and visibility of activities or outputs, etc.  Projects focussing on dissemination/upscaling should primarily build on actions for which solid proof of their effectiveness can be provided and which show potential for being disseminated and/or scaled up.  Projects focussing on innovative practices in education and training should demonstrate their innovative character building on the outcomes of previous analyses, evaluations and pilot actions.  Projects cutting across sectors and involving non-formal learning are encouraged to create synergies between education, training, youth, culture and sport.  Description of the policies and practices to be disseminated and/or scaled up (e.g. courses, teaching materials, use of role models, recommendations) or of the innovative approach proposed, including supporting evidence.  Description of the strategy and methodology for implementation of the proposed action, in particular of the relevant concrete activities (e.g. adaptation to new context, testing, training, capacity building, awareness-raising activities, etc.).  Plans for follow-up (replication or up-scaling in other sectors, areas, target groups, integration at systemic level, etc.) showing the project sustainability, including possible funding through EU (e.g. Erasmus+, European Structural and Investment Funds, European Fund for Strategic Investment) or national funds. Description of how the use of role models will be integrated into the project activities - if this is the case.  the activities supported by the Asylum Migration and Integration Fund and the Internal Security Fund8.  more widespread and effective tools to support education and training institutions and learning providers in implementing inclusive education approaches and in promoting common values.  Supportive approaches and outreach practices addressing disadvantaged groups and newly arrived migrants and refugees. The financial contribution from the EU cannot exceed 80 % of the total eligible project costs. The maximum grant per project will be EUR 500.000.  they must be submitted not later than the deadline for submitting applications referred to in Section 3.  they must be drafted in one of the EU official languages. Please note that only typed applications will be considered. The application form must be accompanied by a balanced budget using the compulsory template and must be expressed in Euro (€). In order to submit an application, applicants, co-applicants and/or affiliated entities must provide their Participant Identification Code (PIC) in the application form9. The PIC can be obtained by registering the organisation in the Unique Registration Facility (URF) hosted in the Education, Audiovisual, Culture, Citizenship and Volunteering Participant Portal. The Unique Registration Facility is a tool shared by other services of the European Commission. If an applicant, a co-applicant or affiliated entity already has a PIC that has been used for other programmes (for example the Research programmes), the same PIC is valid for the present call for proposals. The Participant Portal allows applicants, co-applicants and affiliated entities to upload or update the information related to their legal status and attach the requested legal and financial documents (see Section 14.2 for more information). Only applications that comply with the admissibility requirements will pass at evaluation stage. The proposals which comply with the below criteria will be the subject of a content evaluation. Only applications that fulfil the eligibility criteria will be considered for a grant. The eligibility criteria will be assessed on the basis of the information provided in the application form. 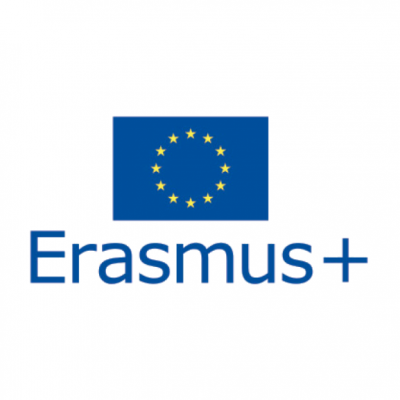 National Agencies or other structures and networks of the Erasmus+ Programme, receiving a direct grant from the Commission in accordance with the legal basis of the Programme10 are not eligible to participate. Nevertheless, the legal entities hosting the Erasmus+ National Agencies or the structures and networks mentioned above, as well as entities affiliated to these legal entities, are considered eligible applicants. Legal entities having a legal or capital link with a beneficiary, which is neither limited to the project nor established for the sole purpose of its implementation may take part in the project as affiliated entities, and may declare eligible costs as specified in Section 11.2. For that purpose, applicants shall identify such affiliated entities in the application form. These affiliated entities have to fulfil the eligibility and exclusion criteria and therefore the appropriate supporting documents will have to be provided. For British applicants: Please be aware that eligibility criteria must be complied with for the entire duration of the project. If the United Kingdom withdraws from the EU during the project period without concluding an agreement with the EU ensuring in particular that British applicants continue to be eligible, you will cease to receive EU funding (while continuing, where possible, to participate) or be required to leave the project on the basis of Article II.16.3.1 (a) of the grant agreement.  Entities without legal personality: documents providing evidence that their representative(s) have the capacity to undertake legal obligations on their behalf. Applicants must submit mandate letters (attached to the eForm) from partner organisations confirming their participation (original signatures required). Associated partners: Additionally, the project may benefit from the involvement of associated partners. These organisations can contribute to the implementation of specific tasks/activities and/or support the dissemination and sustainability of the project. In principal, they will not benefit financially from the EU grant and associated partners can be established both in Programme or partner countries. For that purpose, applicants shall identify such associated partners in the 'Detailed Project Description' which is part of the Application Package and confirm this list at the stage of notification of project results. Only activities taking place in Programme countries (see Section 6.1) will be considered eligible for funding. Any costs relating to activities undertaken outside these countries or by organisations that are not registered in the Programme countries are not eligible. Exceptionally, and on case by case basis, activities involving other countries than the Programme countries can be granted but must have the prior and specific authorization from the Executive Agency. However, if after signing the agreement and after the start of the project it becomes impossible for the beneficiaries, for fully justified reasons beyond their control, to complete the project within the scheduled period, an extension to the eligibility period may be granted, if requested before the deadline specified in the grant agreement. The maximum extension is limited to 6 additional months. Regulation (EC, Euratom) No 2988/95. (h) a person who is a member of the administrative, management or supervisory body of the applicant, or who has powers of representation, decision or control with regard to that applicant (this covers the company directors, members of the management or supervisory bodies, and cases where one person holds a majority of shares), is in one or more of the situations referred to in points (c) to (f) above. (i) a natural or legal person that assumes unlimited liability for the debts of that applicant is in one or more of the situations referred to in point (a) or (b) above. If an applicant is in one of the situations of exclusion listed above, it should indicate the measures it has taken to remedy the exclusion situation, thus demonstrating its reliability. They may include e.g. technical, organisational and personnel measures to prevent further occurrence, compensation of damage or payment of fines. The relevant documentary evidence which illustrates the remedial measures taken must be provided in annex to the declaration. This does not apply for the situations referred in point (d) of this section. and imminent threat to the Union's financial interests. (c) was previously involved in the preparation of a call for proposals where this entails a distortion of competition that cannot be remedied otherwise. (c) the duration of the exclusion and/or the amount of the financial penalty. The coordinator of a consortium signs a declaration on their honour on behalf of all applicants and their affiliated entities certifying that they are not in one of the situations referred to in the above sections 7.1. and 7.2, filling in the relevant form attached to the application form accompanying the call for proposals. If applicable, the relevant documentary evidence which appropriately illustrates any remedial measures taken should be provided in annex to this declaration. This declaration is part of the Application Package (see Section 14.3). Applicants must submit a declaration on their honour, completed and signed, attesting to their financial and operational capacity to complete the proposed activities . In the course of the procedure applicants may be requested to register and provide a Participant Identification Code (PIC, 9-digit number), serving as the unique identifier of their organisation in the Participant Register. Applicant(s) will receive instructions on how to create a PIC in due time. Upon communication of the applicant's PIC, the EU Validation Services (Research Executive Agency Validation Services) will contact the applicant (via the messaging system embedded in the Participant Register) and request the latter to provide the supporting documents necessary to prove the legal existence and status and the financial capacity of the organisation. All necessary details and instructions will be provided via this separate notification. The documents required under point 1 and 2 shall be submitted only for the coordinator of the project. The declaration on honour is submitted as an annex to the application form. The financial statements and the financial capacity form are required at a later stage of the selection process. The verification of financial capacity shall not apply to public bodies, or to international organisations. For the purpose of this call, public bodies, as well as schools, higher education institutions and organisations in the fields of education, training, youth and sport that have received over 50 % of their annual revenue from public sources over the last two years shall be considered as having the necessary financial, professional and administrative capacity to carry out activities under the Call for proposals. They shall not be required to present further documentation to demonstrate that capacity. Such organisations are required to declare (at the stage of the notification of the selection results) that their organisation complies with the above-mentioned definition of public body. The Agency reserves the right to request documentation to prove the veracity of this declaration.  an exhaustive list of past or current projects related to the selected objectives of the call, implemented by the applicants. Purpose: The application is relevant to the chosen general and specific objectives of the call outlined in section 2, in the selected Lot. The project features are consistent with the features described in the call. Scaling up: The application demonstrates the potential for scaling up good practice(s) at different levels (e.g. local, regional, national, EU) and sectors. The scaling up is likely to generate impact not only at the level of the different partner organisations but also at system and/or policy level. European added value: The application brings added value at EU level, through results that would not be achieved at country level alone, and there is potential for transferring results to countries not involved in the project. The project outcomes have the potential to feed into the relevant EU policy agendas.